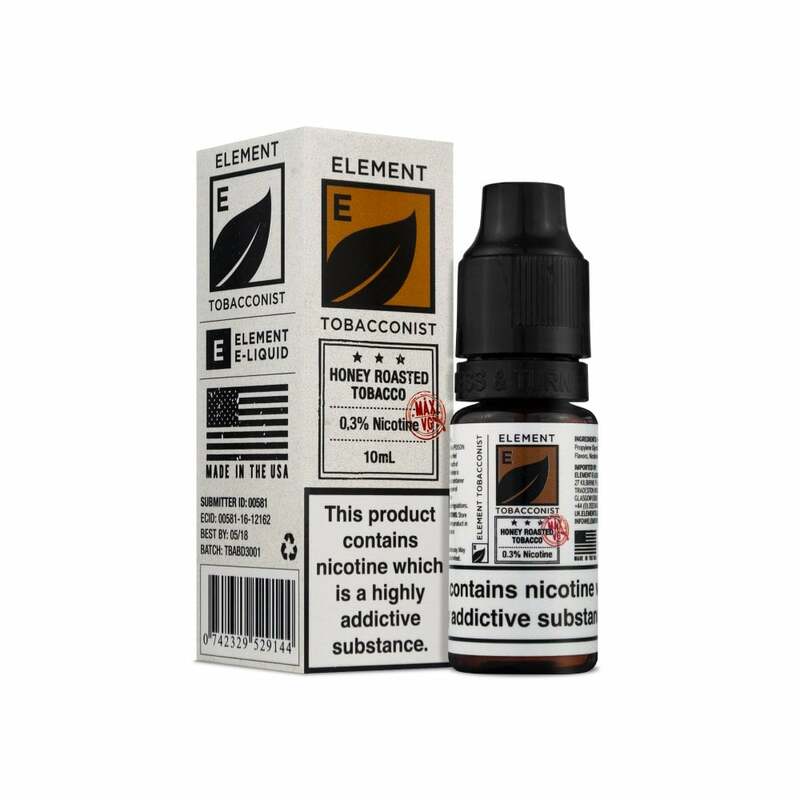 Combining the familiar flavour of honey roasted nuts with a tobacco e-liquid is an ingenious idea from Element Tobacconist. Honey Roasted Tobacco E-Liquid is sweet with caramel and nutty undertones behind the earthy depth of tobacco. The high VG formula of this e-liquid ensures big clouds and a powerful vaping experience. Not very nice, neither tobacco or honey,just chemicals. My favourite e liquid, a little expensive but great flavour. Honey roasted nut flavour is what I'm getting, no tobacco flavour which what I was expecting like all tobacco flavours with an another flavour chucked in there but still nice.